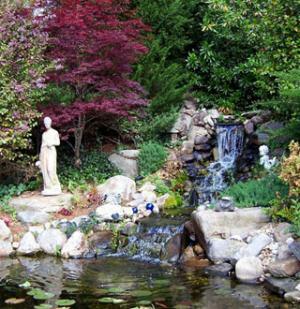 Enter this Facebook contest to win TWO tickets to the Piedmont Gardeners&apos; 17th Annual Garden Tour of Athens, a picturesque tour of five lovely private homes and gardens. The tour will be held on Saturday, April 17 from 10 a.m. - 4 p.m., rain or shine. Proceeds from the tour are used for maintaining the gardens of Brumby House Welcome Center, funding annual scholarships for UGA horticulture students, and donating books about gardening to the Athens-Clarke County Regional Library. The tour features the private gardens of Magdalena Williams, Mary and Charlie Weiland, Patti and Charlie Burch, John Knowlton and Lee Epting. Be sure to check out the gardens beforehand by clicking here. Reply to my post with a comment about the garden you are most excited to tour. After midnight on Monday, April 12 a random number generator will select the winner. The winner can pick up the tickets from the Athens Convention &amp; Visitors Bureau, located on North Thomas Street at the Classic Center.